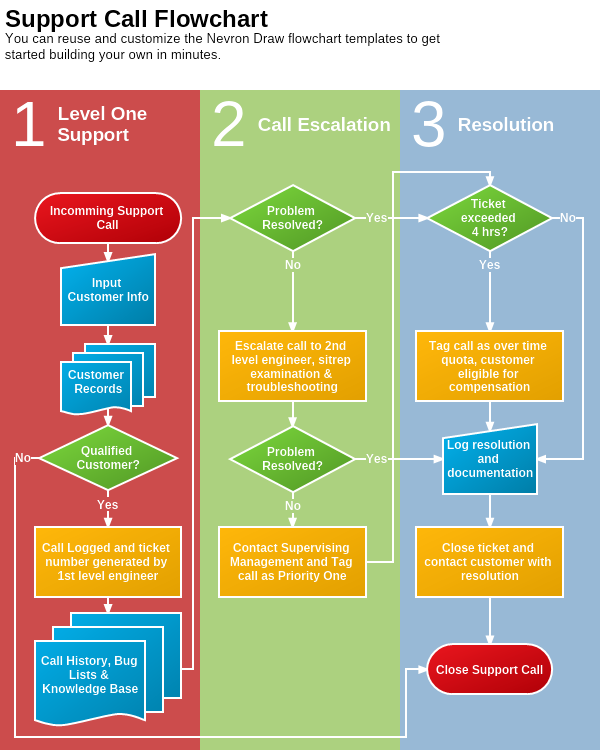 The Support Call Process Flowchart is also a type of a workflow flowchart. It visualize the process through which support calls need to be handled by all the company collaborators from the support team. This kind of flowcharts allows the company to provide equally good service to everyone, while following firm rules. You can now create your own Support Call Flowchart in Nevron Draw by customizing this template.